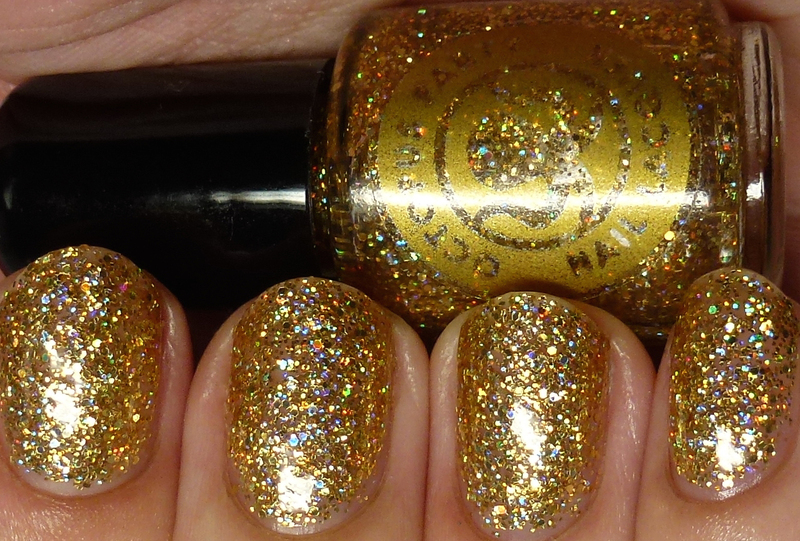 Today I've got a limited edition set to share with you - this is a paired set of a gold holo and gold holo glitter that comes with a cute Octopus Party Nail Lacquer cloth baggie, gold vinyl logo sticker, and a 20% off code for one full size bottle of polish from the shop. 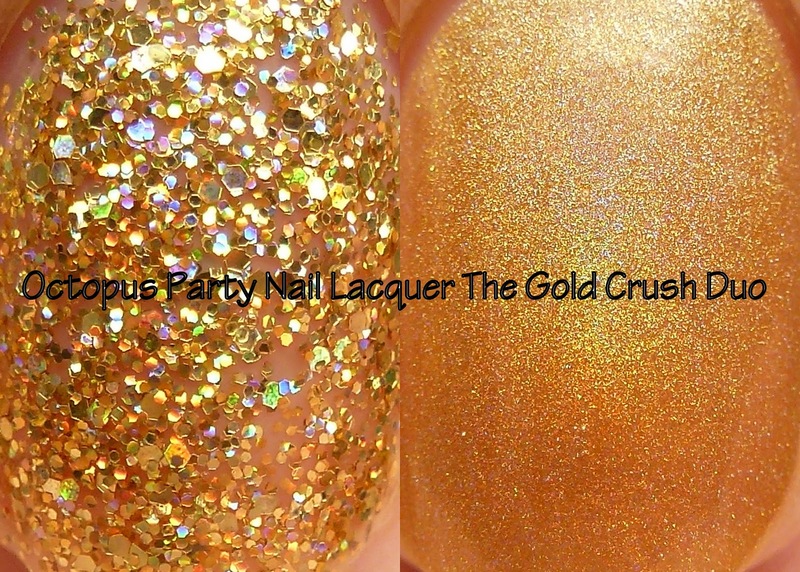 Check out The Gold Crush Duo after the break! 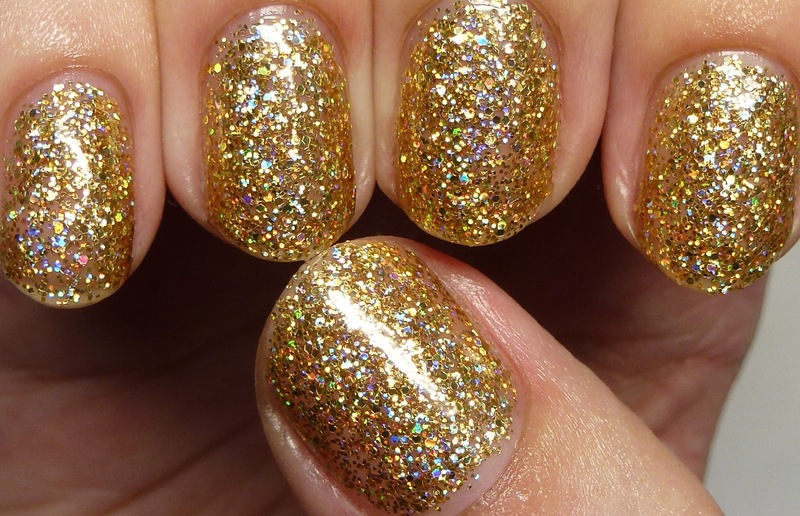 Glow For The Gold is the holo glitter in the duo. 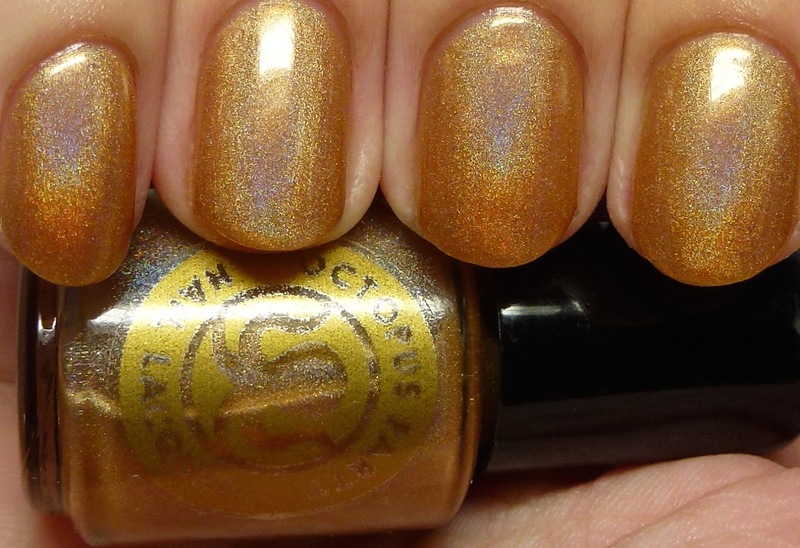 I'm wearing it here with four coats for complete coverage, but you could also use it as a topper. 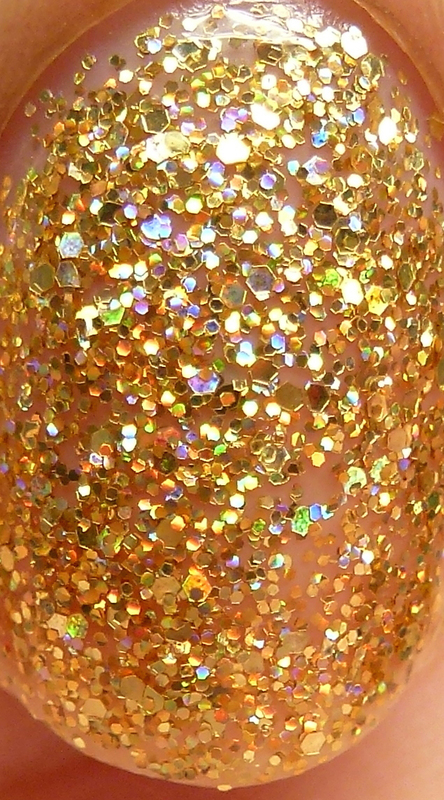 It is super sparkly on the nail and dries quite smooth for a glitter. 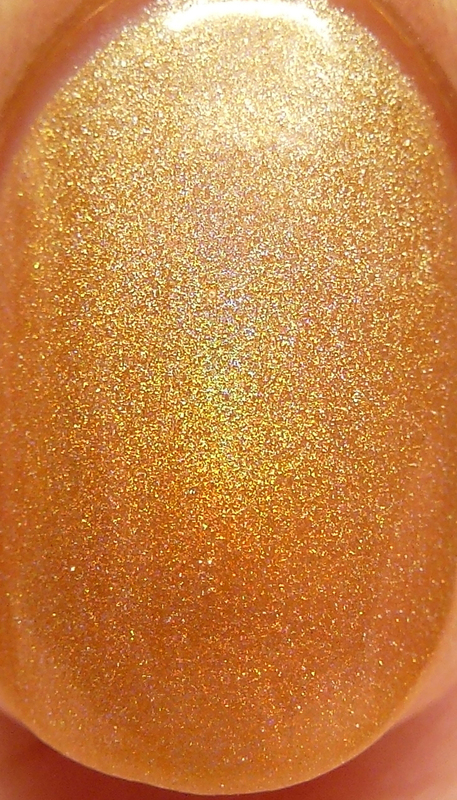 Gold holographic hex and microglitters in a clear base. Four coats. 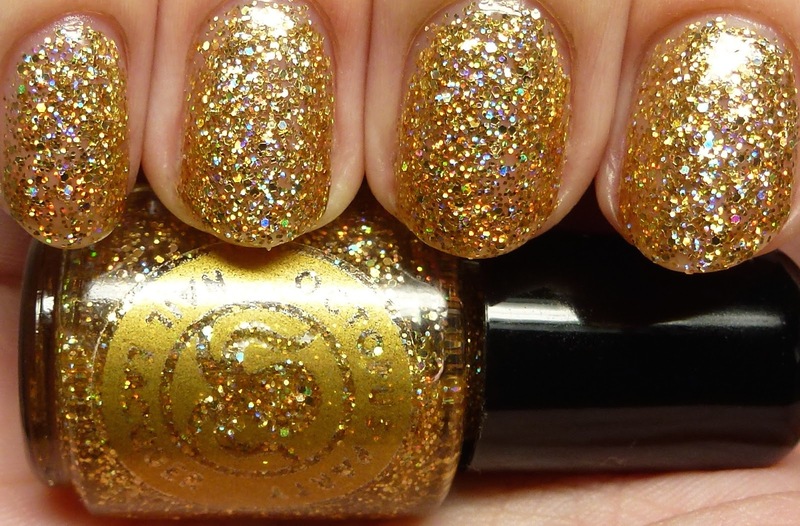 Gold Vibrations is the holo in the set. It is somewhat translucent and can be worn as a topper also, or completely opaque. 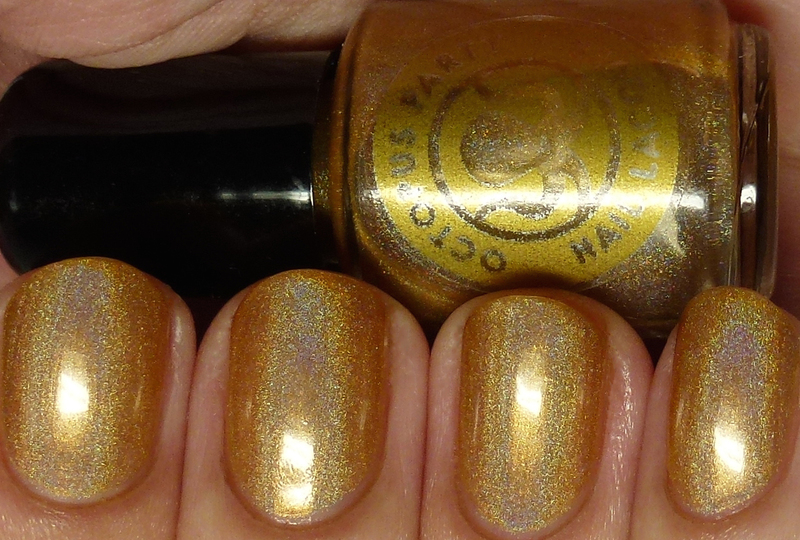 It is opaque in two coats, but I am wearing it with four for maximum bling. 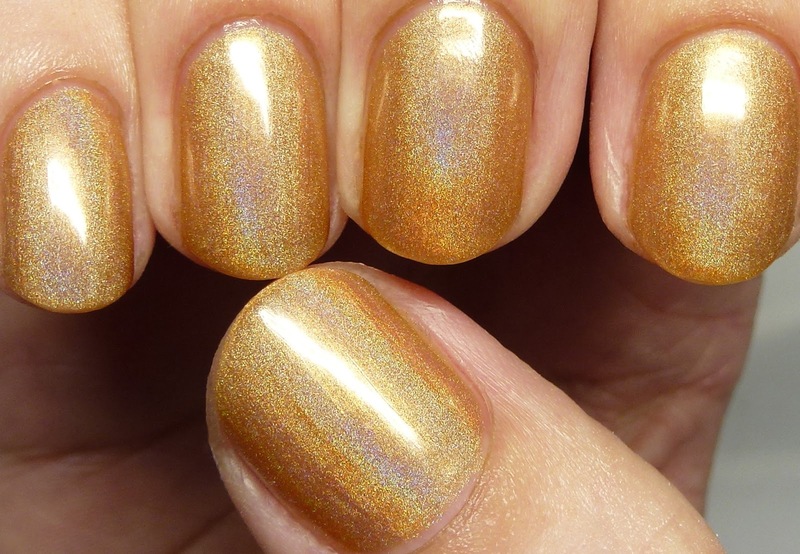 Linear holographic shimmer in a sunray gold jelly base. Four coats. This set is limited in quantity and sells for $15 for the 5ml minis and $25 for the 15ml full sizes. 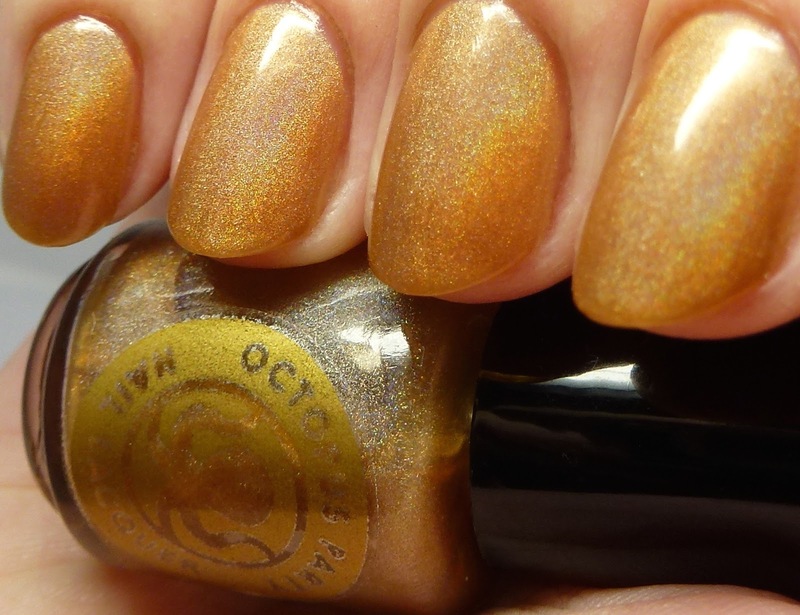 As a bonus it also has a 20% off code for a future full size nail polish purchase from the shop, plus a cloth Octopus Party Nail Lacquer pouch, and gold vinyl logo sticker.